Dear emoji lovers, get ready for 230 new ways to communicate your every feeling, your every story and your every meal. Hot and fresh to your keyboard, the 2019 final emoji list has been approved and will soon be ready for a fresh text experience. From a yawning face, to a pinching hand, to people holding hands, this new generation of symbols is more inclusive than ever. 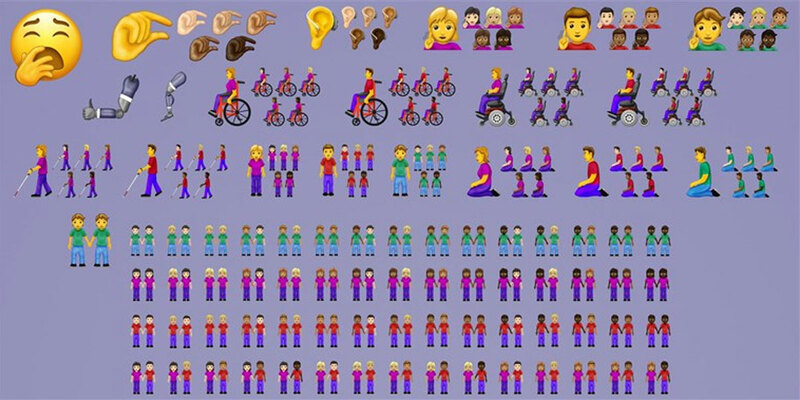 The update includes people with physical disabilities, with the new wheelchair emoji as well as mechanical arms and legs., and more options to change skin tones. More animals have been added, too. There’s an orangutan, a flamingo, a sloth, and an otter. Some other food items made the cut includes butter, falafel, garlic and onion, and ice cubes made the list. And lastly, you asked for it- shorts and a one-piece swimsuit. The Unicode Consortium has finalized the list and now smartphone makers are free to implement the new characters.